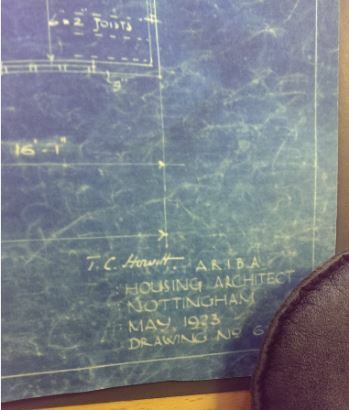 It’s a pleasure to see this fine account of Nottingham’s council housing history. It’s a story well worth telling and one – in Nottingham and elsewhere – that this blog has sought to share. Above all, it is a people’s history, a history of homes and communities but it encompasses high (and low) politics too, architecture and planning and much, much else: a history of concern to anyone interested in the fabric – in the broadest sense – of our society. If all that reads like a shameless plug for this blog, it is also a very definite recommendation for Chris Matthews’ new book. It’s a warts and all history, recording the highs and lows of Nottingham’s council housing and Nottingham City Homes is to be congratulated for commissioning a serious and well-researched account. There’s a place – a very proper place at a time when social housing’s past is traduced and its future near written off – for a more straightforwardly celebratory history but this is a book which anyone interested in a nuanced understanding of our housing history should read. Chris Matthews provides a thorough chronological account which I won’t attempt to replicate in this brief review – the illustrations alone (over 120 carefully selected and well reproduced black and white and colour images) tell a compelling story. But I will pull out a few of the themes which struck me in my reading of it. We’ll begin with the need for – the absolute necessity of – council housing. 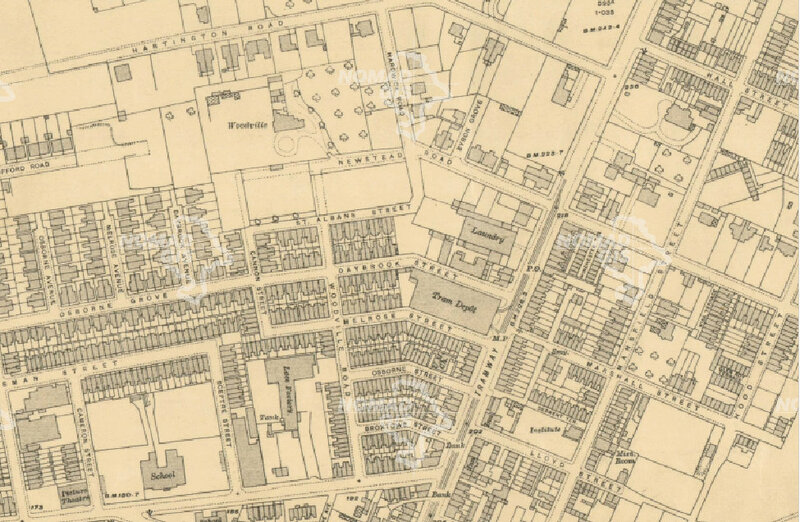 In this, Nottingham was a comparatively slow starter despite a problem of slum housing which was – as a result of the Corporation’s failure to expand into the open land enclosing the city’s historic core – amongst the worst in the country. 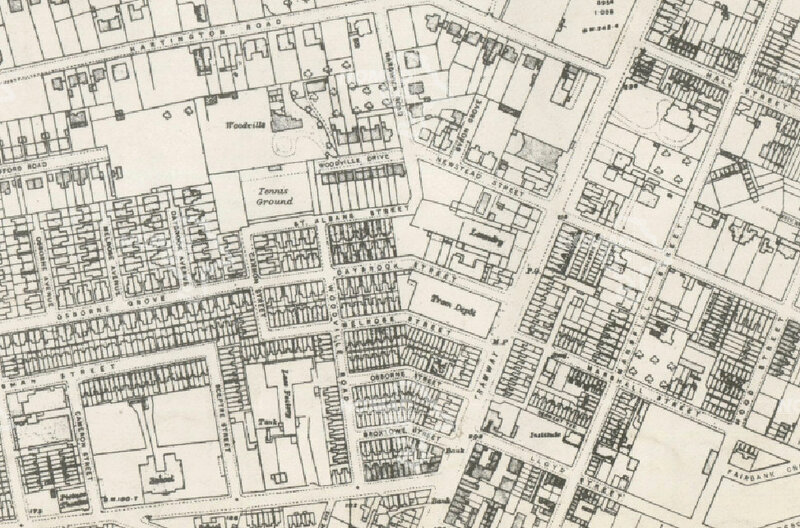 Early efforts, notably the Victoria Buildings on Bath Street completed in 1876 (and second only to Liverpool), were not followed through and it was the large peripheral cottage suburbs built in the 1930s which constituted the city’s first serious attempt to rehouse its slum dwellers. What is more easily forgotten is the persistence of unfit housing. 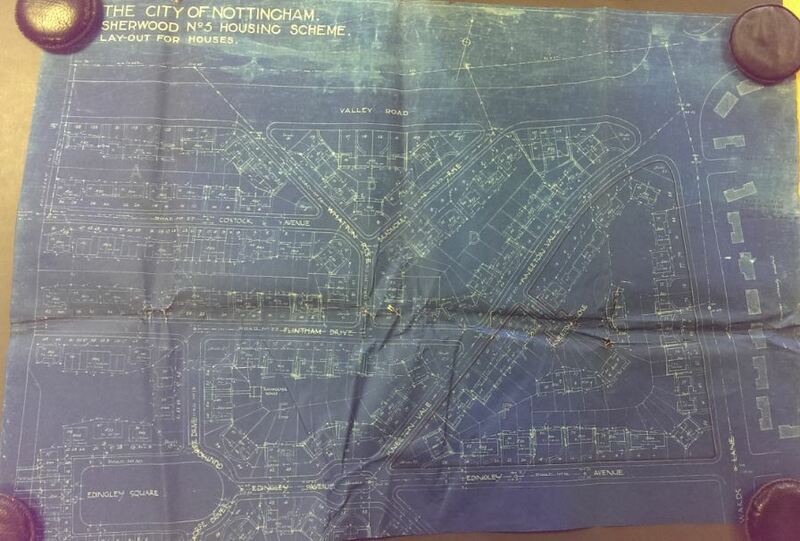 As late as 1951, 43 per cent of Nottingham homes lacked a bathroom. Into the 1960s, in the long neglected St Ann’s area most houses lacked an inside toilet and bath; 53 per cent had no proper hot water supply. All this provides a context for the mass housing programmes of this later period which we are quick to condemn – for their undoubted deficiencies – but so little understand. High rise was popular then. People weren’t fussy back then. The view was beautiful. Absolutely beautiful. I loved it…for me, moving in and living there, it was the first home of my own. Council homes were important for providing a disadvantaged minority community with their first decent homes and a step up, as they did for so many others. Matthews argues, rightly, that council housing provided the ‘biggest collective leap in living standards in British history’. It was good to see this quoted – and hopefully sincerely endorsed – by prime minister Theresa May no less in her keynote speech on social housing made to the National Housing Federation in September 2018. The speech was taken to herald a sea change in contemporary Conservative attitudes towards both the past value and present necessity of social housing. We’ll wait and see. We might take those sanitary essentials celebrated by Marcia Watson for granted now (though too many can’t) but the quality of much council housing is striking too, how much could be done ‘by the steady and consistent exercise of careful thought and skilled imagination’. That was Raymond Unwin, no less, praising Nottingham’s interwar council housing, recognised – thanks to the visionary leadership of City Architect TC Howitt – as some of the best in the country. 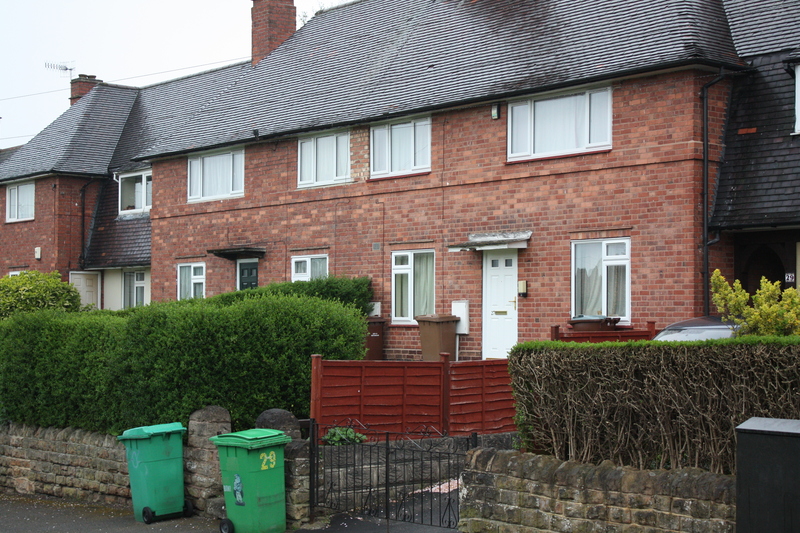 In fact, most Nottingham council homes – even in the 1960s – were solid, well-built terraced and semi-detached two-storey houses which, though sometimes lacking the aesthetic of Howitt’s work, continued to provide decent family homes for many who could not afford or did not wish to buy. It’s an irony that some of the very best council housing up and down the country was built in the 1970s when, with lessons learnt from recent mistakes, low- and medium-rise, predominantly brick-built estates were erected. Nottingham built more council housing in the 1970s than in any previous decade. The Meadows scheme was built with such intent, its Radburn-style cul-de-sacs and greens incorporating the planning ideals of the day by their separation of cars and people. Those ideals are now held to have ‘failed’ and there are proposals to restore a more traditional streetscape to the estate. You can take this as an emblem of planning hubris or, more properly in my view, as a reminder of how transitory the ‘common sense’ of one age can seem to another. Posterity should perhaps be a little more humble and not quite so condescending. This brings us, inescapably, to the politics of council housing. There has in the past been – these seem now like halcyon days – a broad consensus on the topic. William Crane, a Conservative and building trades businessman, was chair of the Housing Committee from 1919 to 1957, surviving several changes of administration and building over 17,000 council homes in the interwar period when Nottingham was among the most prolific builders of council housing in the country. Then there is the politics of the post-war period when Labour and Conservative governments vied to build the most houses with council housing as a central element of the mix. The Clifton Estate, a scheme of over 6000 homes housing 30,000 built to the south of the city between 1951 and 1958, encapsulates some of these ideals, not least in its focus on neighbourhood. 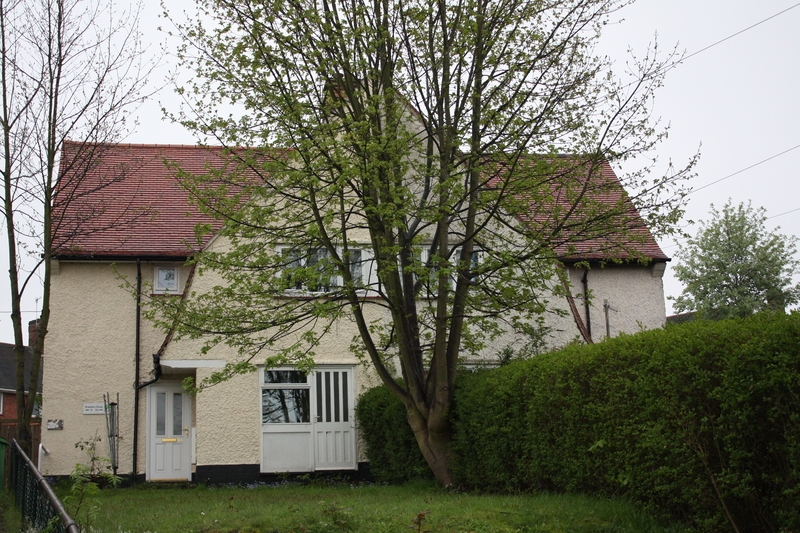 Planning ideals are not always fulfilled, particularly in local authority building where they nearly always conflict with budgetary constraints, but still the Estate’s early isolation, expense and lack of facilities probably didn’t merit its description (in a 1958 ITV documentary) as ‘Hell on Earth’ and certainly didn’t do so in the longer term. The house-building ‘arms race’ came to a head in the 1960s when high-rise and system building were seen as the modern means to build on a mass scale and rid the country, once and for all, of the scourge of its slums. Here Nottingham provides some salutary lessons. The city embraced these methods, these ambitions and, yes, these ideals. High-rise and deck access developments were adopted; major contractors, notably Wimpey and Taylor Woodrow, employed to build their off-the-peg schemes across the city. Matthews is candid in acknowledging the defects of these estates whilst rightly noting the legislative and economic changes which were also afflicting disproportionately the communities which lived in council homes. Equally honestly, he addresses the dissatisfaction with the council as landlord in this period, particularly in relation to repairs. The combination was stigmatising – ‘no longer was renting a council house aspirational’. Beginning with the deck-access Balloon Woods Estate (a Yorkshire Development Scheme completed in 1969) in 1984, with point blocks at Basford and deck-access at Hyson Green following shortly after, many of the troubled developments of the later 60s and early 70s have been demolished. Low-rise traditional housing has mostly taken its place. Others have been thoroughly refurbished through Estate Action programmes and suchlike. One hundred per cent of current stock now meets Decent Homes standards. By 1981, almost half of Nottingham’s people lived in council homes; some 50,000 had been built in preceding years. But the bomb had dropped. In fact, a Conservative-led administration in Nottingham had sold off 1635 homes to existing tenants by 1977 (for more detail on this, do read the comment by Dan Lucas below) but the Right to Buy enacted by Mrs Thatcher’s government in 1981 would see 20,761 homes lost to the Council in the next quarter-century. The Labour chair of the Housing Committee in the 1990s describes its role as simply ‘trying to hold the fort’. There was as the title to chapter 6 declares a ‘Right to Buy but no Right to Build’. Nevertheless, a lot – in terms of the demolitions and rebuilding noted above – was achieved. The Decent Homes programme was a positive ‘Blairite’ achievement though marked by an unwonted antipathy towards local government. The latter led – a necessity if central funding for improvements was to be secured – to the creation of a new arm’s-length management organisation in 2005. 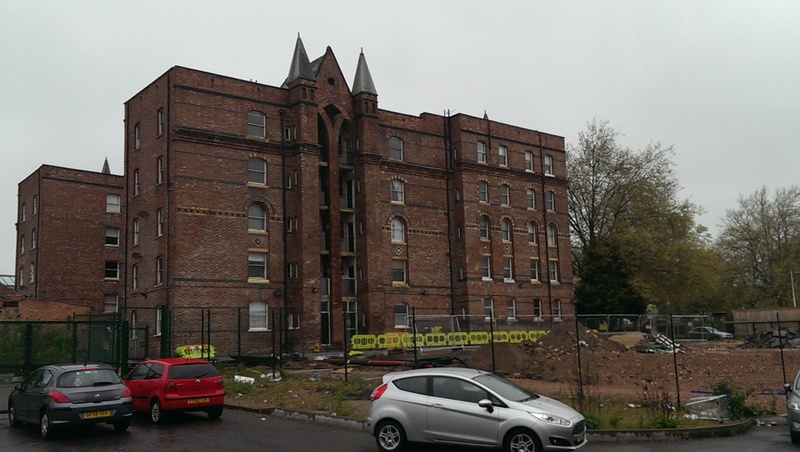 Nottingham City Homes would be one of the largest ALMOs in the country, managing 28,000 homes. After a troubled start, it seems justifiably proud of its recent achievements, not least a building programme of 400 new homes to be completed by 2017. Indeed, as Matthews argues, the commissioning of this history itself marks a ‘renewed confidence in Nottingham’s council housing’. It’s desperately sad that this – in broader terms – is not a confidence shared by the current government, driven by an ideological hatred of social housing and a fantasy of owner occupation for all – though even that, perhaps, is to give it too much credit. The reality is that this government is willing to consign our less affluent citizens to an increasingly marginalised and diminished social housing sector and the tender mercies of private landlordism. The history shows that, alongside other tenures, council housing can and does transform lives, providing a solution to a wide range of housing problems. Buy the book, spread that message. This webpage provides full details on how and where to purchase the book. My thanks to Dan Lucas, Strategy and Research Manager for Nottingham City Homes and a key contributor to the book, for providing some of the images used in this post. My thanks to Alex Ball for writing this fascinating account of Nottingham’s impressive early council housing efforts. There is still much work to be accomplished before the complete solution of the housing problem will be in sight. The shortage in numbers is far from being made good; and only when that has been done can an effective beginning be made of the great task of replacing with good dwellings the hundreds of thousands of old ones which have ceased through age, decay, or other reason to be fit for habitation by human families if they are to live a decent life. The slightly archaic language aside, that statement could apply to many UK cities in the recent past. But it’s actually from the introduction to an account from nearly one hundred years ago of the Progress of the Housing Schemes in Nottingham by the City’s municipal architect. (1) This post outlines some of the early Municipal Dreams in Nottingham, focussing on the impact of that architect. 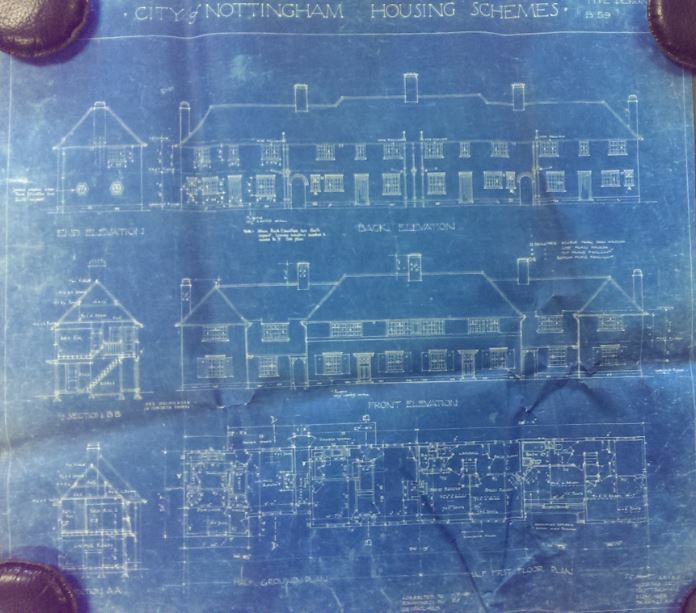 To truly trace the history of Nottingham’s council housing, we need to go back nearly 50 years further. The very first council houses in Nottingham were the Victoria Dwellings – now grandly renamed the Victoria Park View Flats – built in 1876 at Bath Street in the Sneinton area which would have been on the outskirts of the city at the time. 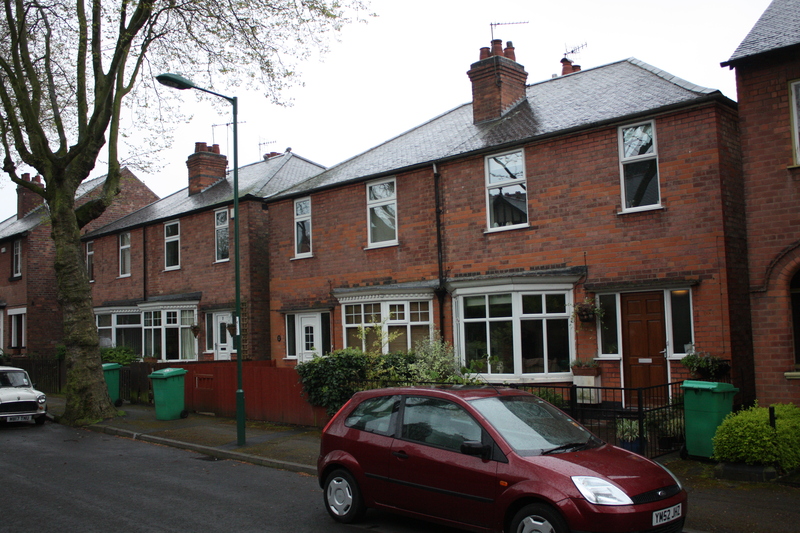 These houses were unusual in being provided specifically for the employees of Nottingham Corporation (quite literally, Council houses) and received no subsidy other than from the general rates. It is interesting to speculate on the likely motivation for this act of Victorian munificence: philanthropy or enlightened self-interest? The latter seems possible but the lack of indoor sanitation would mean that the health of the workforce perhaps would not have been materially improved. 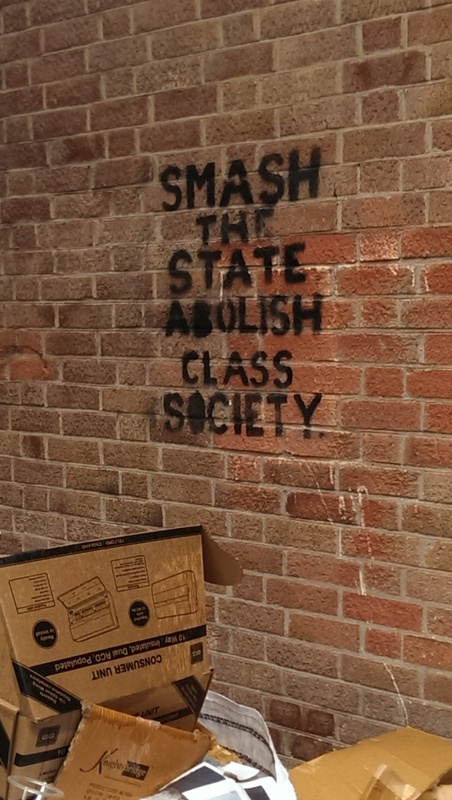 The iconoclastic nature of the building seems to linger on despite its current slightly shabby state with this excellent anarchist graffiti being visible by the bin store round the back of the block. 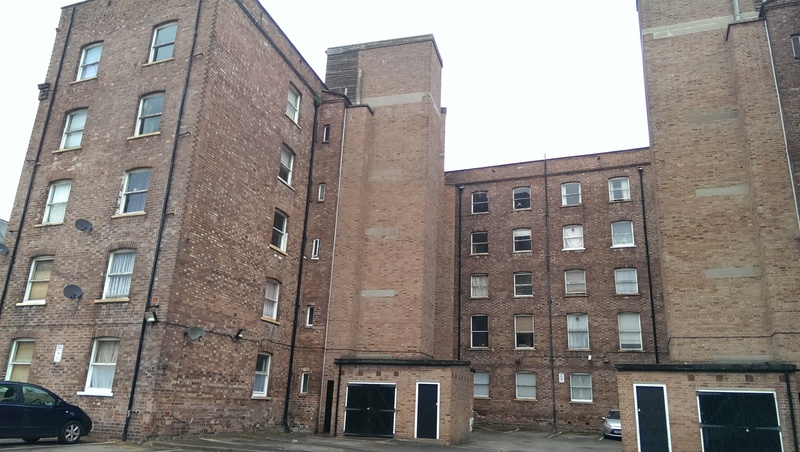 A news story from last year offers a chance to see the interior of one of the flats – although it seems like a missed opportunity not to mention the block’s auspicious history. There was then no further building of council houses in Nottingham until after World War One and the passing of the 1919 Housing Act. To understand the significance of this piece of legislation on Nottingham we need to take a step back some 30 years to celebrate the birth of Thomas Cecil Howitt on 6th June 1889 in Hucknall, Nottinghamshire. Little is known of his background other than his parents being from Lancashire originally and that Howitt, ‘attended Nottingham High School, but left in 1904 at the age of fifteen to begin his apprenticeship in the office of Albert Nelson Bromley, then a prominent Nottingham architect’ (4). We’ll hear more about Bromley later on. to the Nottingham City Engineer’s Department, under the provisions of the Housing and Town Planning Act of that same year. Howitt’s task was to provide as quickly as possible the huge number of election-promised “homes fit for heroes” whilst still adhering to the vastly improved new government standards for housing. The 1919 Act was designed to implement the recommendations of the Tudor Walters Committee, as captured in their 1918 report, ‘The Provision of Dwellings for the Working Classes’. A key player on the Tudor Walters Committee was Raymond Unwin, one of the founders of the Garden City concept. some three months before Howitt’s demobilisation, the City Council’s Housing Committee had received a deputation from the Nottingham and Derby Architectural Society, among whose members was Howitt’s former employer, Nelson Bromley who…sought…to encourage members of the local profession to become involved in the provision of housing for the working classes. He asked the committee’s involvement…without apparent success; though the deputation was complimented for its public spirit. With the impetus from central Government in the new 1919 Act and increasing impatience from the City Councillors who had been pressing for more housing since 1917, Howitt had a perfect chance to make his mark. 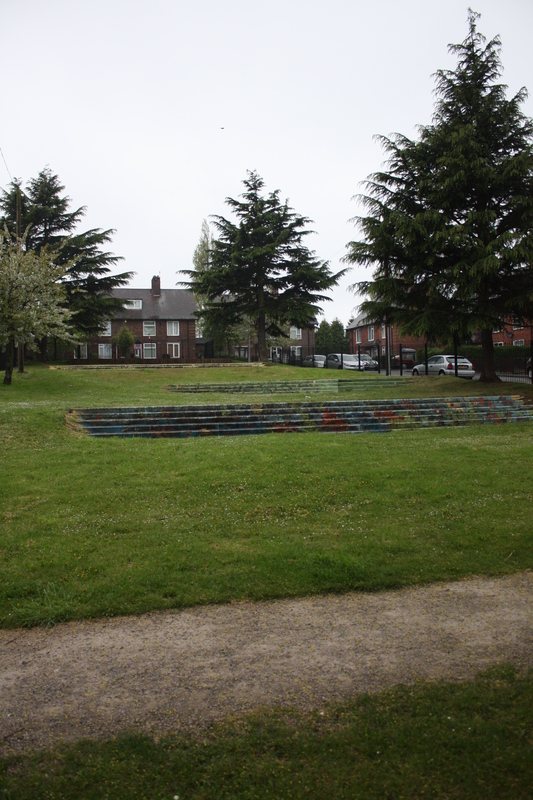 Following this success and the completion of the other three sites work quickly progressed on the first large-scale estate of council houses which was planned for land just north of the Woodville Drive location. The whole scheme was aimed at providing not just affordable working class housing, but also housing that would improve and maintain the health of those who lived there. Nothing like this had been seen before in the city. Unwin’s Garden Cities influence was clearly seen, ‘to the point where the layout was adapted to fit in with existing old trees. Every house would have its own garden and a minimum of 75 feet between houses across a road’. The very smallest details were attended to: ‘living rooms were arranged to obtain the maximum sunlight…houses with east-west aspects were designed with a through room from road to the back garden’. Howitt devised a series of house types that could be assembled into blocks of from two to eight houses, with a variety of configurations that were never reminiscent of the repetitive terrace. The most significant feature of Howitt’s layouts is the use of the formal and symmetrical axis around which to group house blocks and types. The advantage of this was that it provided a sense of location and place, and the framework for an almost unending series of variations within a single estate, while avoiding undue repetition on another. 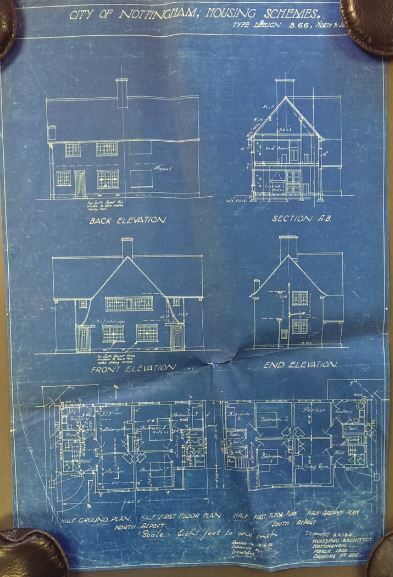 The design drawings are available in the Nottinghamshire Archives and appear not to have been consulted since their incorporation into the historical record. The meticulous detail that Howitt put into his work is clear with the careful notation of the building types according to his own system. 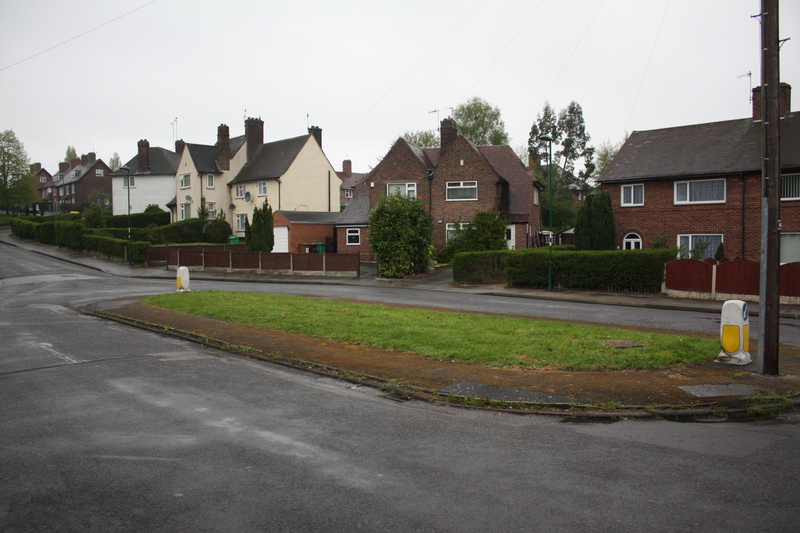 Despite the impact of the Right-To-Buy on this estate (around 50% of the properties have been sold-off), Howitt’s architectural intent is still clear to see, in particular the green spaces and wide roads that he insisted on being in place. This property has been sub-divided into two maisonettes but the material aspects of the external design are still there. Howitt’s impact on Nottingham was not limited to just council housing, he is probably best known for his work on the magnificent town hall (known as, confusingly, the Council House) that still stands looking out across the market square. But for me the huge contribution that this man made on the housing and life-chances of the people of Nottingham can best be seen and understood through walking the ordinary roads of the estate he planned and built. Alex Ball is a Labour Councillor for Nottingham City Council and has responsibilities for Housing and Regeneration in the City. Details of the ‘Building a Better Nottingham’ programme including nearly 400 new Council Houses can be found here. Alex tweets here and blogs here.